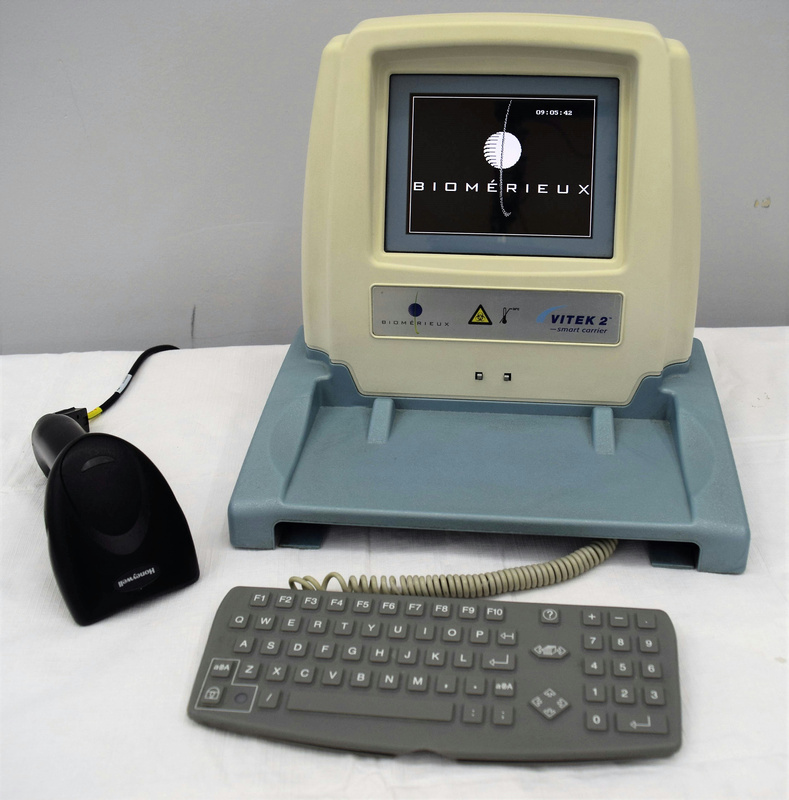 Biomerieux Vitek 2 Smart Carrier Station w/ Barcode Scanner Data Entry . New Life Scientific, Inc. The Vitek 2 Smart Carrier Station is a computer that helps the user perform data entry for samples and testing, committing it to memory before transferring it to the instrument and software. The station contains a keyboard and navigable menu along with a barcode reader for quick entry of lab IDs. This instrument is in good cosmetic condition and shows signs of age and wear that are commonly endured with consistent use. New Life Scientific technicians have tested that the workstation powers on only. For more Vitek model instruments and software, please visit our webstore. This instrument powers on and has minor signs of cosmetic wear and age.